American sprinter Justin Gatlin made a winning return to action on his track comeback from a four-year doping ban in a 100m event in Estonia. Gatlin, the former Olympic and world champion, won his heat in 10.34 seconds before winning the final in 10.24. The times were a long way from the 28-year-old's personal best of 9.85. "I felt good, I felt alive but I'm a little disappointed in the time. But I think this is a good comeback, to get my feet wet," he said. The 28-year-old finished .07 seconds ahead of countryman J-Mee Samuels, while Rubin Williams, also of the United States, was third in 10.54. 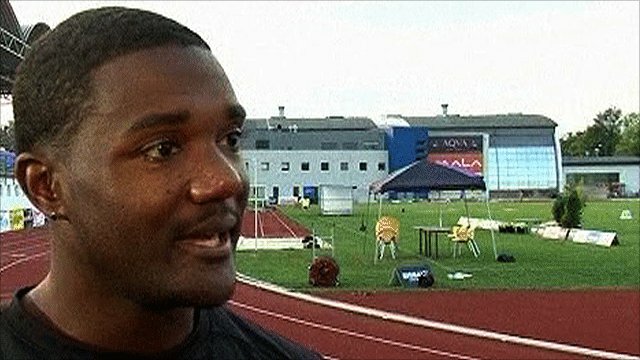 Gatlin was suspended after testing positive for testosterone in 2006, though he insists he has never knowingly taken a performance-enhancing substance. He won the 100m and 200m sprint double at the 2005 World Championships to add to his 2004 Olympic 100m title but has been out of action since June 2006, although he still hopes to race at the 2012 Olympics.